Whether you are buying a new iMac for yourself or for someone else it is always nice to get the best price you can find. The problem with buying an Apple computer is that they rarely go on sale. Apple has strict pricing rules and you might save a few dollars here and there, but not much. So how do you get a deal on a new iMac? Here’s how. Many merchants offer free accessories when buying an iMac. For example, looking at ads in the Sunday paper will often show deals where you get a free printer, or free iTunes cards, or a free gift card for the store when you purchase an iMac. Sites like MacMall often offer package deals on iMacs. Even Apple gives away a free printer (after rebate) with a purchase of an iMac. These deals are all about timing. You have to be looking at the right time. If you are a student, teacher, or government employee you could be eligible for a small discount through Apple’s website. Apple has education and government stores that offer small discounts to those who qualify. You can access the links to these stores down the left hand side of the the Apple Store homepage. While I have not bought as a government employee I have bough as a student and teacher. If you purchase in an Apple store you will need some form of proof that you are a student or educator (ie. pay stub, ID card). However, if you purchase online you only find your institution and say you are a student or teacher there. No formal proof is required, although I would expect you would need it if ever asked for it. As a side note, many online education discounters (ie. AcademicSuperstore) require proof of being a student or educator. One fantastic way to take a nice chunk of money off the price of an iMac is to buy a refurbished one. Many retailers offer refurbished iMacs. Personally, I only trust the refurbished products from Apple. They come at a great discount, especially if you are willing to buy a previous generation. Plus, Apple gives you a full one year warranty as if it was a new product and the option of purchasing Applecare to extend the warranty. The only downside to buying refurbished from Apple is that you cannot customize the computer by adding memory or a larger hard drive like you can when you buy a new unit. 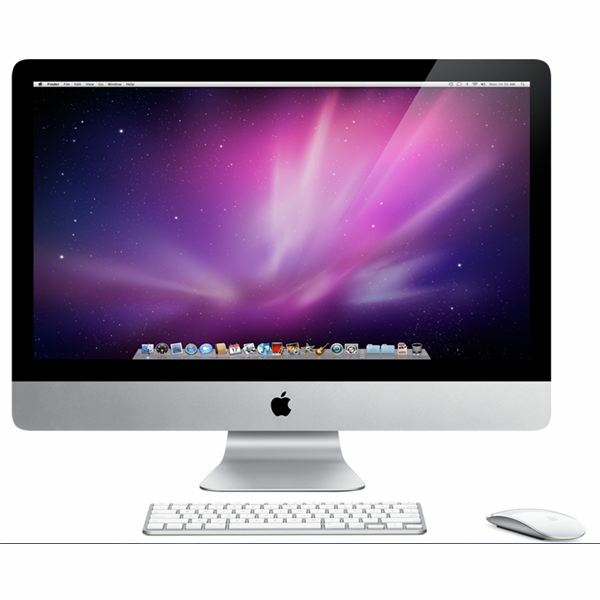 Another place to find a used, refurbished, or possibly new iMac is eBay. People are always selling there old computers on eBay or even new computers that they got as a gift and they have no other way to get rid of it. Be careful if you do choose to buy off of eBay. Check the seller’s rating and make sure other people have had a good experience. Check the return policy of the seller. You don’t want to get stuck with a broken machine that you cannot return because the listing said “All sales are final, as is.” Personally, I would not purchase a computer off of eBay. However, it is a route you want to try I wish you good luck. These are just a few options and ways to find a cheaper price on an iMac. Do you have a shopping tip for getting the best deal on an iMac? Leave a comment below.